It's Black Friday - Could You Buy Nothing? AdBusters launches a new campaign to keep folks from overspending. 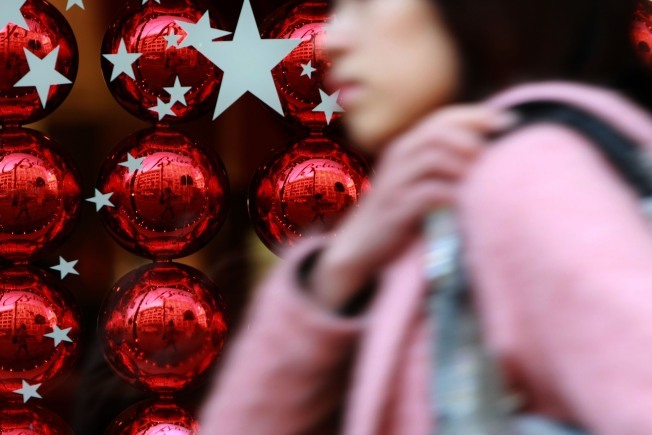 Retailers are gearing up for what is predicted to be a dismal holiday shopping season as the country struggles through a rough economy. So unless you've been living in a hole for the past few weeks, you're aware that this coming Friday is known in retail circles as "Black Friday," the day when sales-crazed folks from coast to coast wake up at the crack of dawn and line up outside retail giants everywhere for a taste of the epic sales that most stores put in place for the long holiday weekend after Thanksgiving. Other than the week leading up to Christmas, it's pretty much the biggest shopping period of the year, and everyone is watching it very closely this year—really treating it as a litmus test for consumer confidence (as if we haven't already had enough this month). Now, while you're sitting at home being bombarded by commercial after internet ad touting "unbelievable savings this weekend only," one group is challenging that knee-jerk reaction to shop with Buy Nothing Day. AdBusters, a self-proclaimed "global network of culture jammers who are working to change the way meaning is produced in our society," is the force behind what they describe as a "massive mind-shift" to start changing the way Americans consume. No one can argue that the country's rabid taste for more, more, more has contributed in no small part to our current economic crisis and a looming natural resources, but it's a tough call to make when the boutique on your corner is also trying to stay afloat and basing their sales for November on your siblings' need for Christmas goodies. We want to be better, but which is ultimately more productive? To buy nothing, or to buy wisely?